Looking at photos on your phone is so 2016. Get a pair of these beautifully simple but elegant handmade wood photo/card stands for your home or office. 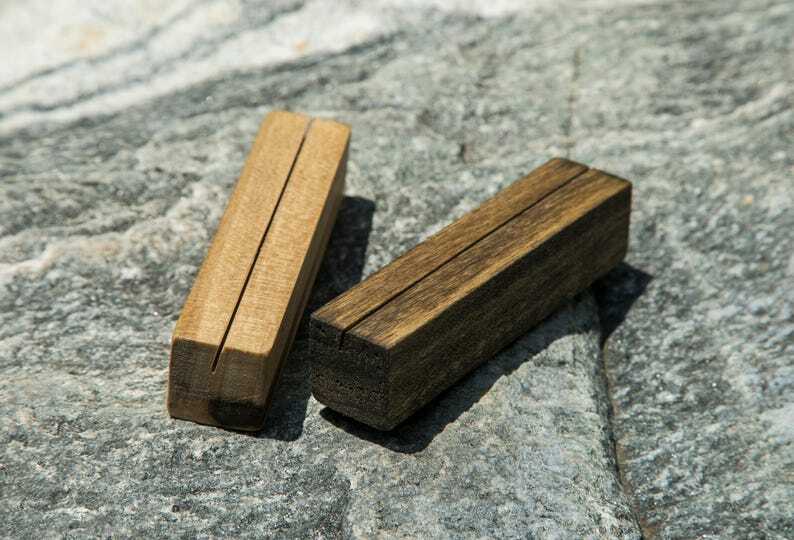 These stands measure 3.5" and look great on your office desk, fireplace mantel, or bookshelf. Use them to identify entrees at your next event or insert name cards so guests know where to be seated and then let them take the stands home as a party favor.